Home/Blog/What if Your Child Doesn’t Play? What if Your Child Doesn’t Play? As parents and educators, we assume children naturally know how to play. If they go outside they immediately run to explore the surrounding nature and inside they build creative structures or draw elaborate pictures. This natural curiosity for the world around them allows children to learn, explore, and build the necessary skills to be successful. Through engaging in play, children are growing physically, intellectually, socially, and emotionally. A child who simply wanders around the room observing others but never actually stopping to play or shows no interest in the activities around them is a child who may not know how to engage in play. How can parents and educators help children who do not instinctively know how to engage in play? In an article by Early Childhood Education Associate Professor at St. Francis University Dr. Glenna Zeak, When a Child Doesn’t Play, children are placed into various categories including the wanderer, the dabbler, the rejected child, the anxious child, and the aloof child. The wanderer, the child who simply wanders around the classroom or play environment may doing so because they are too overwhelmed by the number of activities to pick from or may have limited experience with other children. These children may not have the basic play skills to enter an activity that is already underway. If they are unable to communicate their wants and needs, it may make it difficult for them to get along with others and join a group setting. Wanderers sometimes lack the attention span to select and stay on a particular task. They may be unable to make play choices or sustain interest in an activity. In some cases, children exhibit these behaviors because they are not feeling well, are experiencing stress or trauma at home, or have other special needs. The dabbler is described as going from activity to activity without really engaging in one. Dabblers may be unable to focus on a task for long periods of time, often exhibiting attention deficit behaviors. These children are easily able to choose their play, but never become fully engaged in that activity. All children are dabblers at some point but when this is a consistent behavior, intervention may be needed. Since dabblers are generally unengaged it is important that the teacher models engagement with materials and with other children. The rejected child usually lacks three basic play skills. These skills include an awareness of others, turn-taking skills, and problem solving skills. If a child is unaware of others, they may not have the ability to listen to what others are saying and doing and are unable to understand other’s perspectives. Problem solving allows children to express needs and wants, listen to other’s needs and wants, and cooperate together. Children who cannot problem solve or share may struggle in play situations. Lacking these play skills can come out through aggressive behavior. Children who exhibit aggressive behaviors are often rejected by other children because others are fearful of being hurt or simply dislike playing with this child. Rejected children should be guided through the play process in order for the necessary social skills to build. The anxious child may be anxious for an assortment of reasons and at different times. Usually, anxiety surfaces when children have experienced stress in the home environment, such as after hearing or seeing parents fight. Physical and emotional stress caused by lack of sleep or food can also create anxiety in young children. The preschool experience itself can sometimes overwhelm a child with so many activities, other children, and unfamiliar adults. Tensing up, lack of eye contact, and thumb-sucking are some physical signs of anxiety in children. Anxious children need trusting adult relationships and predictive classroom settings in order to thrive and learn how to play. The aloof child makes little-to-no eye contact, rarely initiates conversation or interaction, and shows little interest in their surroundings in general. They may avoid contact with classmates and because they may be unable to build social skills and relationships, their self-esteem and attitudes about learning and school are negatively impacted. Their aloofness may be due to a lack of experience in group settings or because they haven’t developed positive and trusting relationships with other children or adults. Communicating confidence and providing experiences where their success is guaranteed will support these particular children. Play is essential to the development of children because it contributes to their cognitive, physical, social, and emotional well-being. Play also allows for engagement between parents and their children which builds strong foundations for future relationships. According to a report by the American Academy of Pediatrics, play is so important to child development that it has been recognized by the United Nations High Commission for Human Rights as a right of every child. Play provides children with an outlet for developing imagination and creativity. It also helps them learn how to work well with others and allow them to explore the world at their own pace and interest. Despite the clear and critical benefits of free play, this type of play has been reduced for many children. 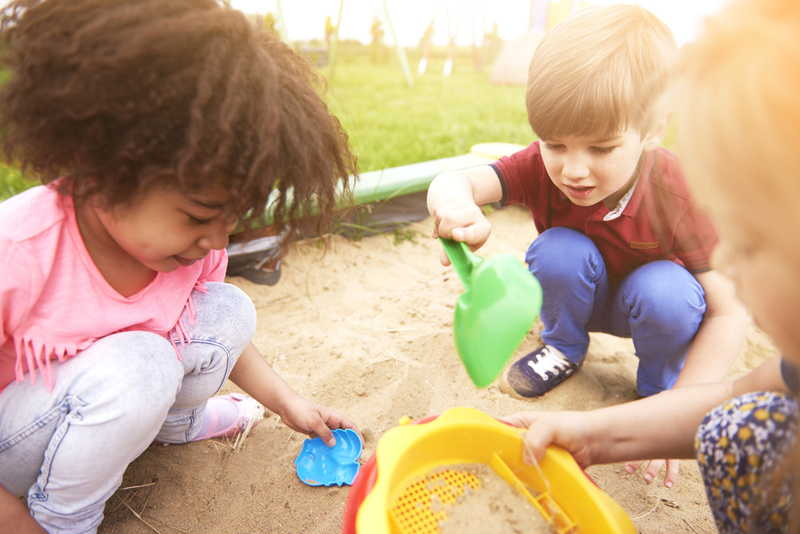 This reduction in free play has affected kindergarten age children whose play time has been reduced to make room for more academics in their daily schedule. Since reading, mathematics, and sciences are strongly focused on in school, physical education and creative art time has lessened. According to the American Academy of Pediatrics, this change can affect a child’s ability to store new information, because children aren’t exploring at their own pace and interests. Also, reduced time for physical play may be contributing to the academic gap between boys and girls, because these schools create a learning environment that may be more difficult for boys to be successful. Additionally, a decrease in free play can increase stress in children because they feel the academic pressures more directly. Supporting children who struggle with play is critical in their development and growth. While many of the article’s examples focus on children’s actions in the classroom and school environment, the problems, effects, and support can be extended to the home environment. Play allows children to become independent learners, creative thinkers, and successful individuals. Whether a child is a wanderer, dabbler, feels rejected, anxious, or aloof, with support they can be taught the necessary skills to engage in play. For more information on this topic, visit Zeak’s article, When a Child Doesn’t Play. Previous Post: Loose Parts Reggio Emilia style Next Post: What is Provocation?